When a local photographer -- someone whom I personally know -- is in declining health, it's never good. I found out late last week that the photographer of the above photo, Harriet, had been taken to Hennepin County Medical Center as her struggle with Alzheimer's Disease had taken a turn for the worse. Her prognosis did not look good. Then yesterday (Sunday) I found out that she was in intensive care and would be taken off of life support Sunday evening and the prognosis had been changed from Alzheimer's to a brain infection. Fast forward to this morning when I learned that Harriet did not have a brain infection after all but instead has shingles on her brain. Even after being removed from life support, she could "live" on for an additional two weeks. That is no way to end one's life. I am unsure if there is pain involved but I have heard that shingles is an extremely painful virus to have and this is the first time I have learned of anyone having shingles on the brain. I can only hope she pulls through this somehow but in all actuality Harriet will be gone from this Earth in two weeks or less. 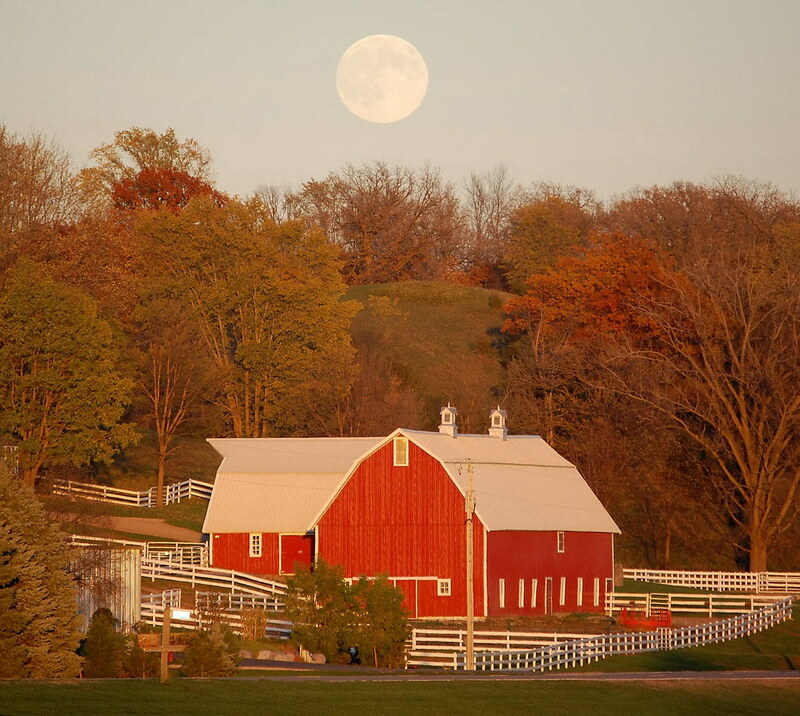 After raising her family and being heavily involved in the lives of her grandchildren, she discovered photography and, along with a couple of her grandchildren, spent endless hours traversing the expansive Sibley County in her van with her trusty Nikon D40, photographing the hundreds of barns of all shapes, colors and sizes which dotted the countryside. She eventually turned that carefully cataloged collection of photos into a calendar then into a gorgeous photo book complete with details of each building. The photo shown above is a perfect sample of the amazing photographs Harriet captured during her area travels. I wish her and her family comfort during this particularly difficult time.